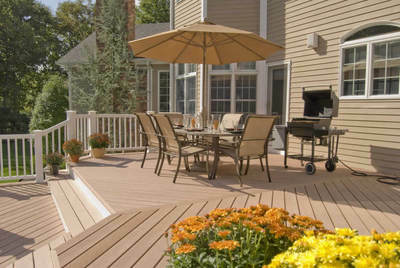 A well-built deck from the start plus regular maintenance equals confidence in your deck’s safety. 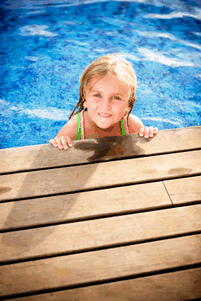 May is deck safety awareness month! It’s important to ensure your deck is structurally sound in order to take advantage of all the ways it can benefit your home and allow you to safely enjoy the outdoor lifestyle. As the foundation of outdoor living and relaxation, as well as the springboard for backyard recreational activities, your deck is a principal structure in your outdoor living area. 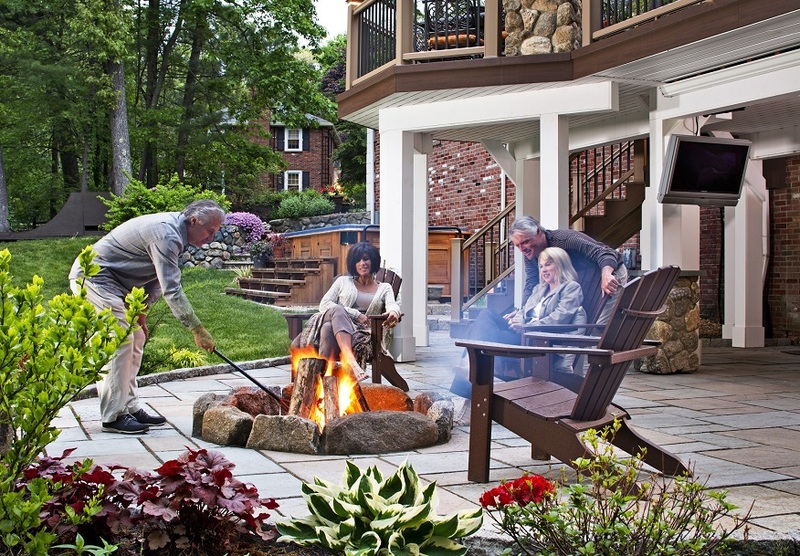 With this in mind, have you considered how safe your backyard deck really is? 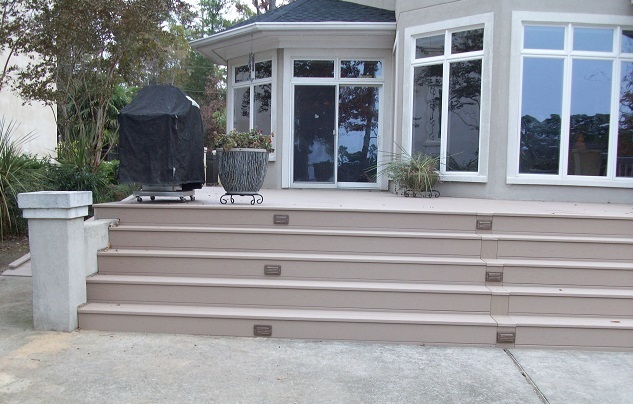 Deck safety is of the utmost importance to Archadeck of Central South Carolina. We are the area’s premier outdoor structure designer and builder with quality and safety incorporated into each structure from the very beginning. 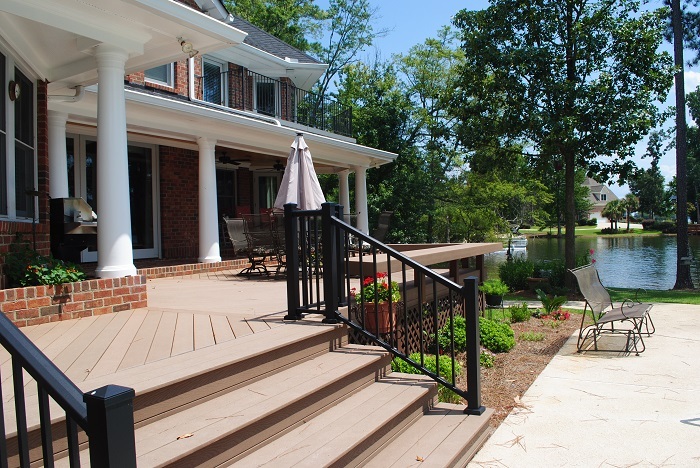 Doing the job right from the onset provides a well-built, safe deck for the homeowner to enjoy for many years to come. However, no matter how well anything that is exposed to the elements is constructed, from your car to your home, without continued proper maintenance and inspections, the life expectancy and safety factor will diminish quickly. This is more than evident in the grim statistics regarding US deck safety; within a 6 year period there were an estimated 179 deck failures (either from poor construction or the deck being 20++ years old) resulting in over one thousand injuries and 33 deaths! As a homeowner, keeping up with the routine maintenance of your deck is the best way to do your part in maintaining its safety and the safety of those who use it. Along with the effects of Mother Nature, your deck can also become damaged from other forces. Items that are often used along with outdoor living such as Citronella candles and oils can penetrate your wood surfaces and cause staining. Grease and oil spilled on the deck as a result of grilling can damage your deck, as can red wine. 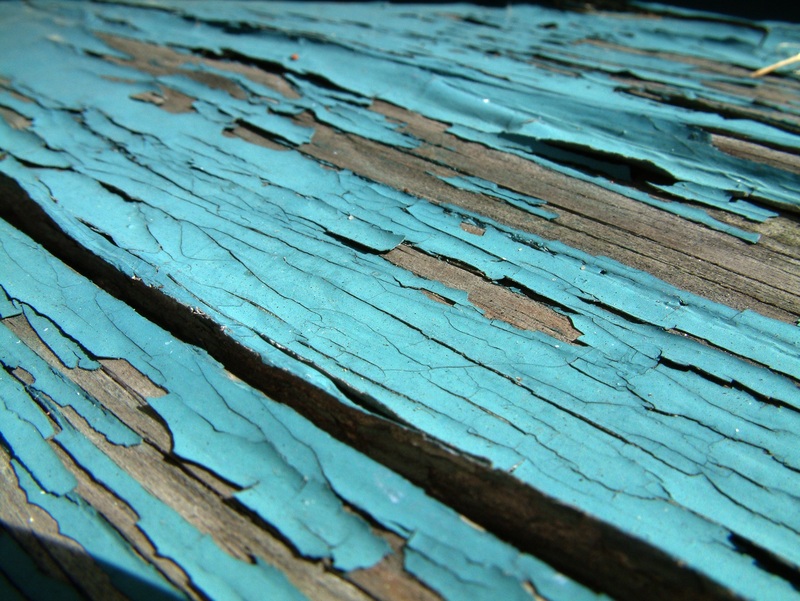 Hot charcoal and exposure to solvents such as gasoline will also damage your wood deck. Making sure your deck is sealed properly may give you time to clean up spills or mishaps before they cause damage. 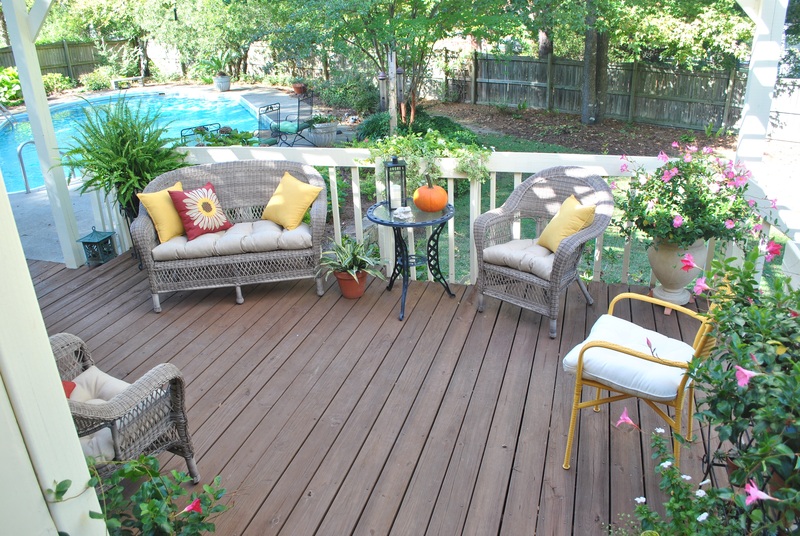 Regular cleaning is necessary to keep your deck looking good and its surface safe to use. Outsourcing the work to make sure your deck or outdoor space is adequately maintained is a viable option. 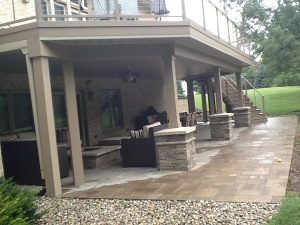 Renew Crew is an associate business of Archadeck specializing in outdoor structure maintenance and restoration. Renew Crew uses a three-step system providing a comprehensive cleaning and protection service that is environmentally friendly and won’t cause any damage to plants, animals or your outdoor surfaces. By combining low-pressure power washing and cleaners to give your deck a heavy-duty clean, and following up with a fresh coat of proprietary sealant, their process protects your deck from water damage and every-day wear and tear. Renew Crew uses a wood-penetrating sealant with a proprietary, UV-blocking polymer mix that penetrates and protects the wood. This delivers a highly effective seal against the elements and shields your deck from the sun’s harmful UV rays that can cause wood to turn gray over time. 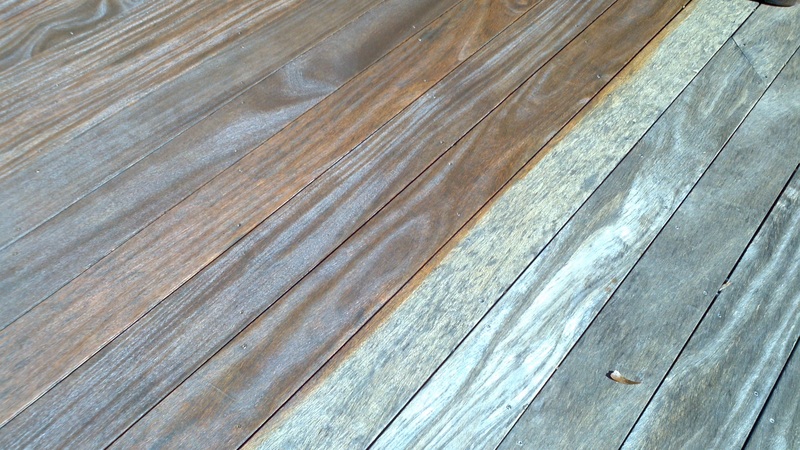 This treatment can sometimes avoid the expense of resurfacing or building a new deck. 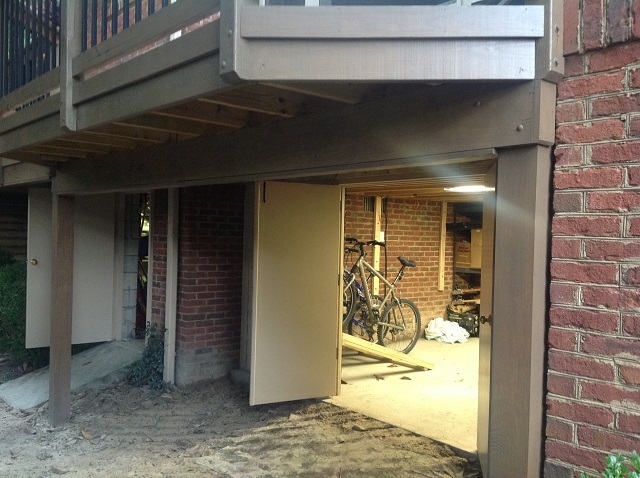 In addition to maintenance options, we also offer homeowners a thorough deck safety inspection for a modest fee. With this inspection you will receive a detailed checklist that highlights any necessary or suggested repairs — or maybe your deck is good for a couple more years; we’ll let you know that too. Here are just a few of the critical areas our deck safety inspection covers: foundation and footings, the attachment to your home, decking boards, connections and fasteners, the posts, beams and joists (if visible) of the structure, any sagging between supports, as well as stairs and rails. 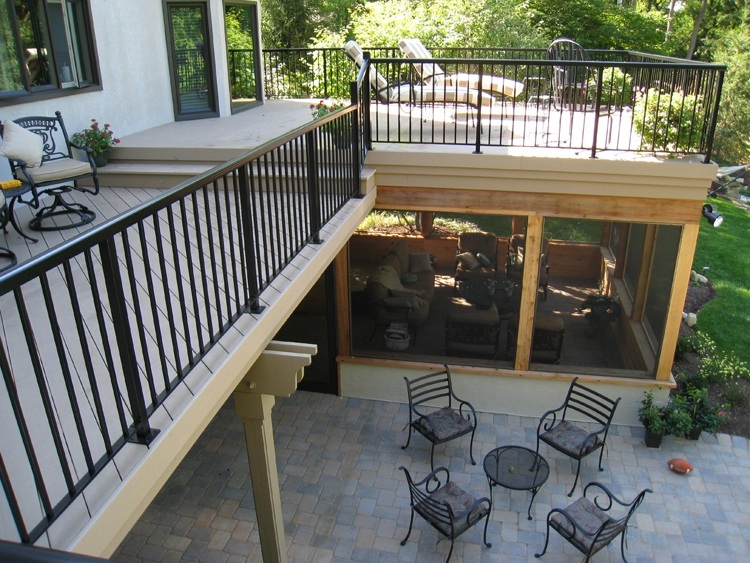 We can also provide a free consultation on what would be involved with replacing your deck with an updated design that meets or exceeds all building code requirements and complements your outdoor living objectives. 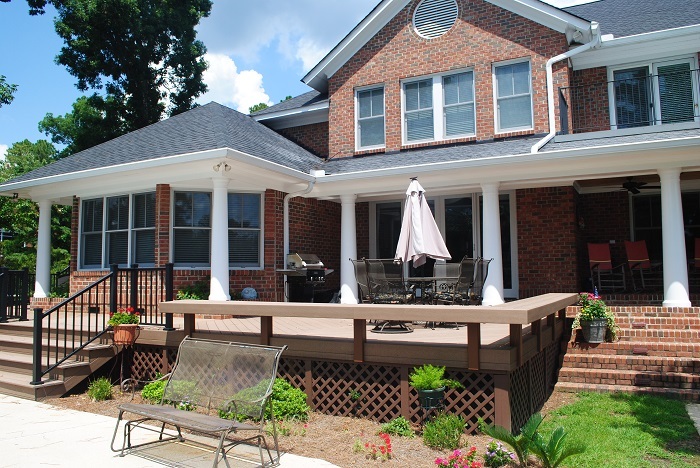 Contact Archadeck of Central South Carolina to schedule your deck safety inspection today or to set up an appointment for Renew Crew of Central SC to revive the beauty of your deck. Calling on the expertise of our deck experts will give you peace of mind in knowing you can enjoy your deck this season without worry! Contact us at (803) 603-2160 or via email at centralsc@archadeck.net. This entry was posted in Custom Outdoor Living Designer & Builder, Deck Safety, Decks, Importance of Deck Maintenance, Pressure Treat Decks and tagged Archadeck of Central SC, Archadeck of Central South Carolina, Care and maintenance of your wooden outdoor structure, Central SC combination outdoor living spaces, Central SC deck builder, Central SC deck designs, Central SC wooden deck builder, Columbia SC Deck Builder, Columbia SC treated pine deck care, Columbia SC wooden deck builder, Columbia SC wooden decks, How to care and maintain your Columbia SC deck, How to care for your Columbia SC wooden outdoor structure, May is deck safety awareness month, Renew Crew, Renew Crew of Central SC on May 22, 2015 by archadeckofcentralsc. 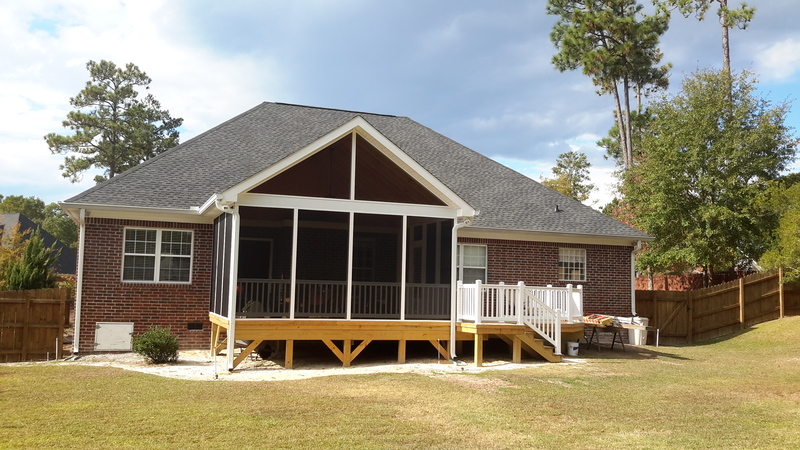 Our recent deck and screened porch addition wins the adoration of the homeowners, and their furry friends! 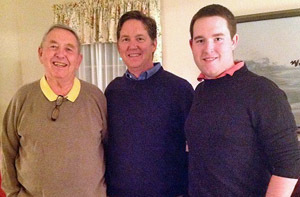 The entire project was built with the enjoyment of the entire family in mind. The spacious wood deck provides an area for outdoor entertaining, dining and relaxation while the screened porch invites outdoor living during times of inclement weather. 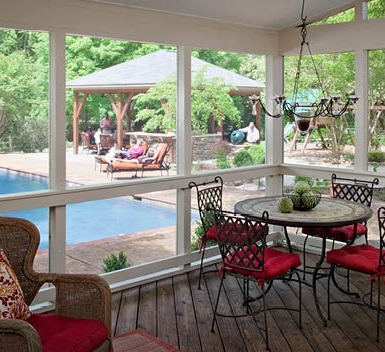 The screened porch also serves as an extension of interior space in warmer months with easy access into the home. With an open gable, exposed rafter ceiling, the porch exudes open airiness. Loving the kitty door that provides access from the screened porch onto the deck. 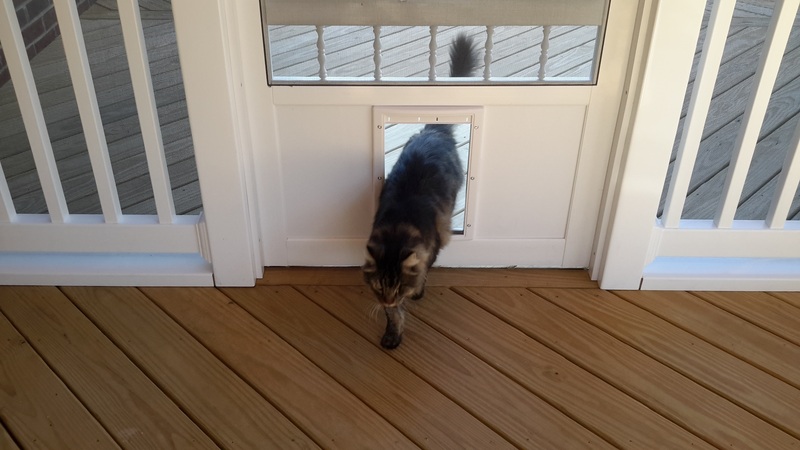 As part of the charming Victorian-style door that leads into the screened porch, we installed a pet door to offer easy access for the homeowners’ cat to move freely between the two spaces. As an additional safeguard for little paws, we used pet screen to screen the porch. Pet screen is stronger and more resilient than traditional screen and will not warp or rip with pet activity. This entry was posted in Custom Outdoor Living Designer & Builder, Deck design, Decks, Outdoor Living, Outdoor living combination structures, Screened Porches and tagged Archadeck of Central SC, Archadeck of Central South Carolina, Central SC combination outdoor living spaces, Central SC deck and porch outdoor living combinations, Central SC deck builder, Central SC deck designs, Central SC outdoor rooms, Columbia SC deck and porch builder, Columbia SC Deck Builder, Columbia SC outdoor living, Columbia SC pet friendly screened porches, Columbia SC Porch Builder, Columbia SC screen porch and deck combination designs, Columbia SC screened porches, Columbia SC screened porches built using pet screen, Pet friendly outdoor living space designs in Central SC, Pet friendly outdoor living space designs in Columbia SC on December 4, 2014 by archadeckofcentralsc.